1. Have solar-powered and/or battery-operated flashlights and lanterns. 2. Keep a battery-operated radio near to hear the latest news updates. 3. Maintain a good supply of canned foods, non-perishable food items, and water gallons to nourish everyone in the household. 4. Ensure your vehicle has a full-tank of gas. 5. Refill important medications in advance, and consult with your doctor on temperature-sensitive prescriptions or other health related-concerns. 6. Secure windows and doors. Never leave windows open if a storm is anticipated. 7. Share your emergency action plan with friends and family. The Centers for Disease Control and Prevention (CDC) recommends having an emergency safety kit, making a plan with close friends and family members, and staying informed on the status of weather conditions. The CDC advises to maintain at least a three-day supply of foods with a long shelf-life and sufficient water (one gallon per person per day) in your emergency supply. Ideally a seven-day supply of non-perishable food and water would be best. 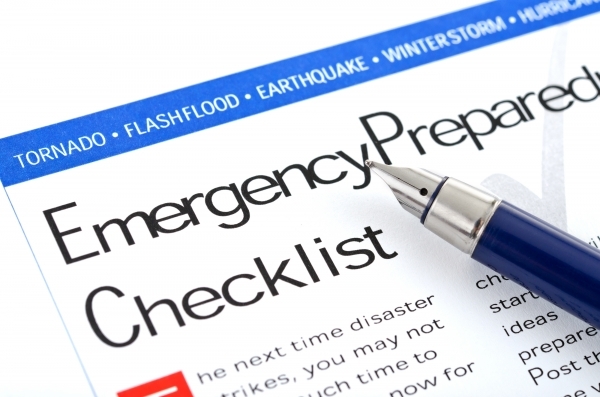 Other items to have in your emergency kit include, personal care items, health supplies, safety supplies, useful electronics (radio, flashlight, chargers), and important documents. Having a safety plan in place is also essential. Establish a meeting place where close friends and family can find one another in the event communication is limited after a natural disaster. Also, keep handy a list of important contact names and phone numbers and share the list with friends and family. The CDC recommends researching shelters in your community, and determining areas in your home that can be used as safe spots during extreme weather conditions. It’s important to practice a safety action plan ahead of time, especially if you have small children or live with pets. There are additional considerations to keep in mind when caring for children during natural disasters. Weather conditions vary depending on geographical locations. Become familiar with natural disasters in your place of residence. Keeping a safety kit, planning with family and friends, and staying informed on the latest weather conditions are three tips from the CDC that can be implemented. Taking safety precautions for extreme weather conditions promotes safety, security, and an action plan towards emergency preparedness.